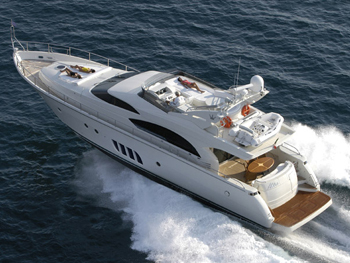 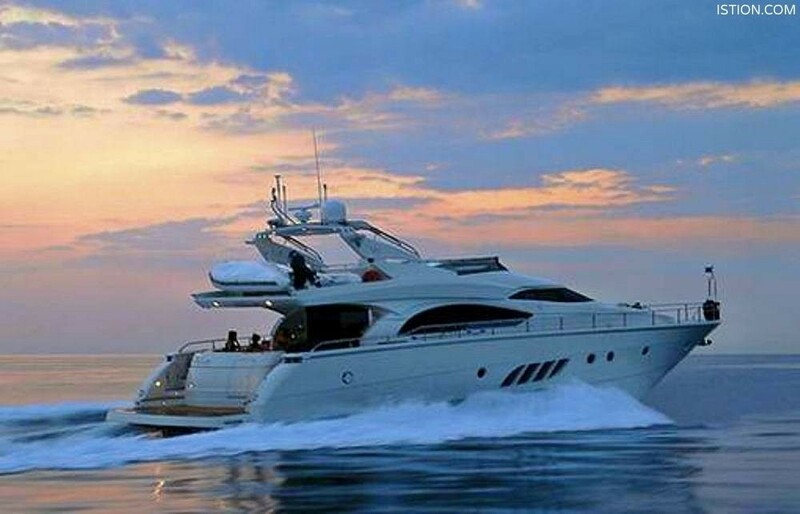 Xtreme is luxury 20.73 metre yacht new to the Greek Islands in 2009. 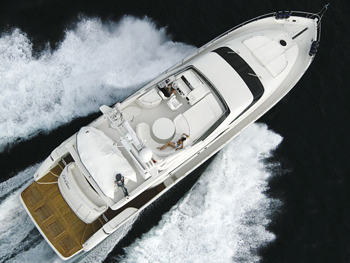 A Dominator 68, designed by Nuvolari & Lenard, Xtreme is a masterpiece of Italian design both inside and out. 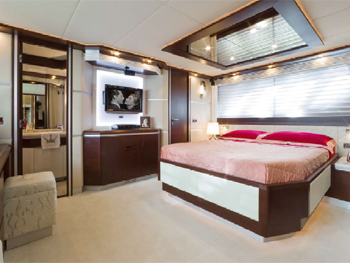 Her stylish and modern interior offers clean, uncluttered lines with plenty of space both in the cabins and in the communal living areas. 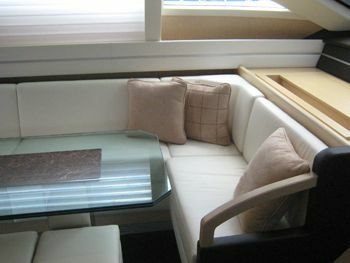 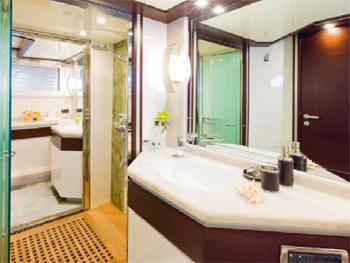 Xtreme offers three staterooms including a huge master cabin with lounge area and generous walk through ensuite bathroom. 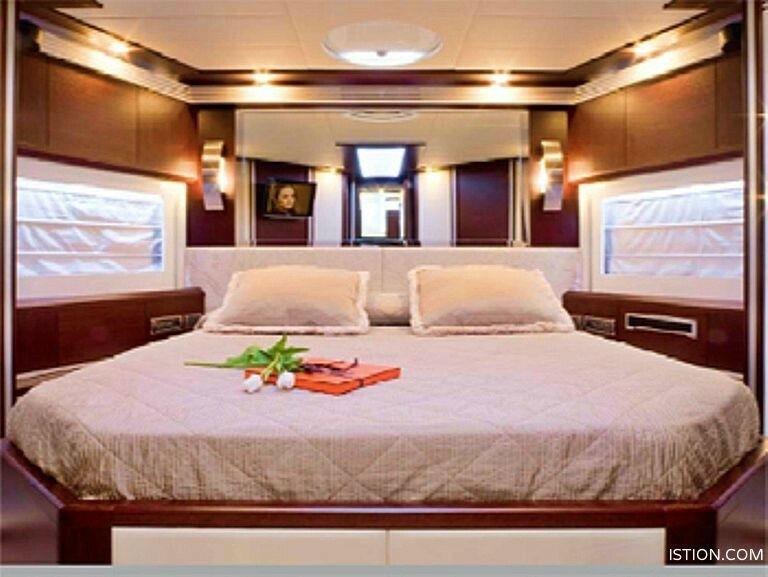 Her VIP features a king size bed with ensuite bathroom and she also has a twin with another ensuite making her very comfortable for six guests. 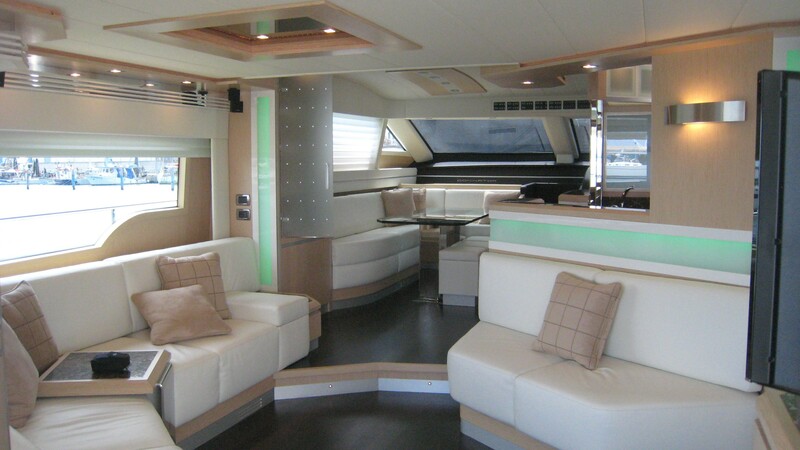 Along with many other features, there is a large flat screen television in the saloon, WIFI Internet, satellite TV. 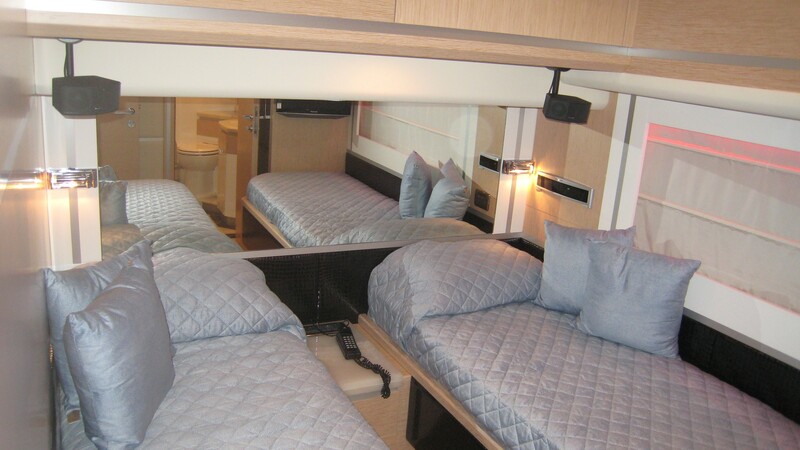 Xtreme offers technical innovations that make it easy for the crew to handle the yacht and maximize guest comfort. 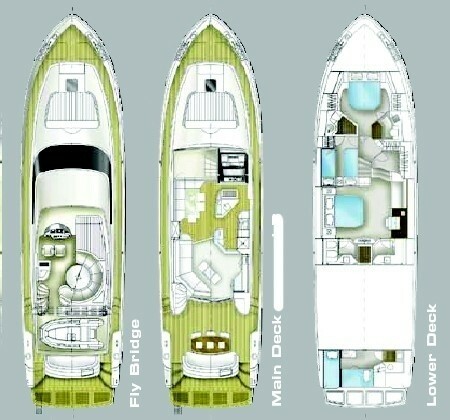 She has been carefully designed in her weight distribution with a central and bar centric fuel tank. 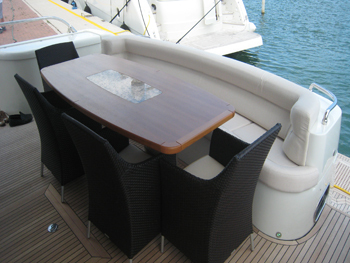 She has optimal trim at any load condition and her deep V hull makes her safe and dry in any wind condition. 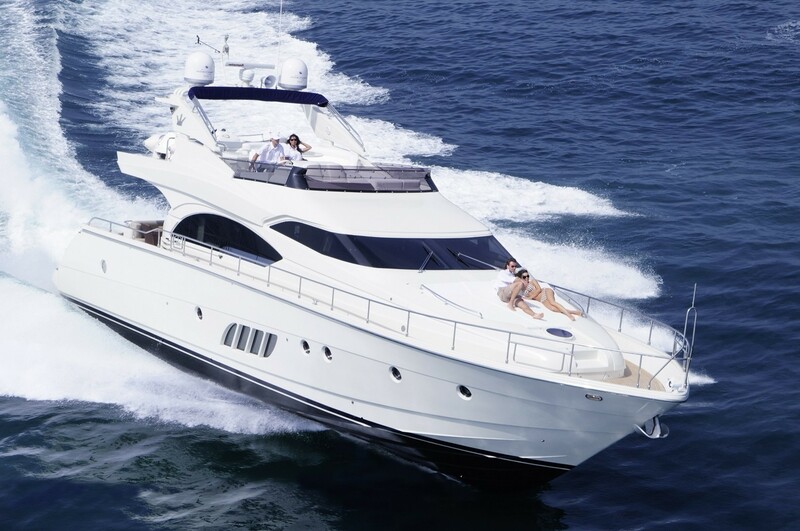 Easy access to fly and to side decks, high powered bow and stern thrusters, stern engine control station for easy final mooring operation, hydraulic lifting bathing platform for quick handling of the water toys. 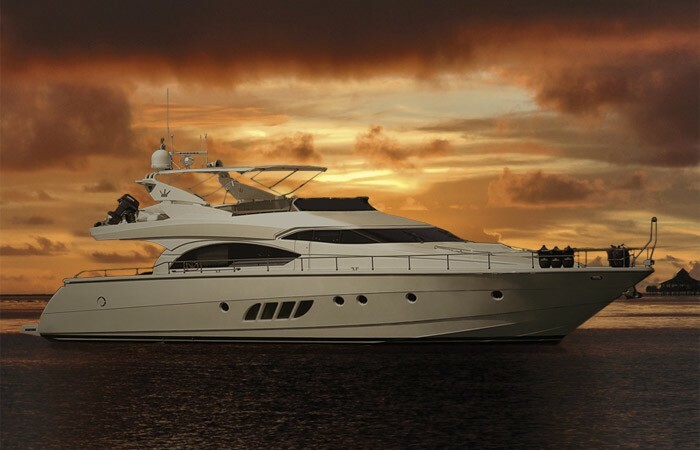 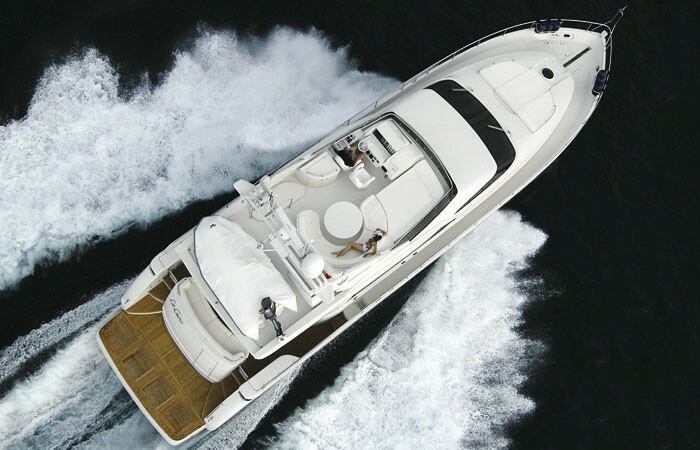 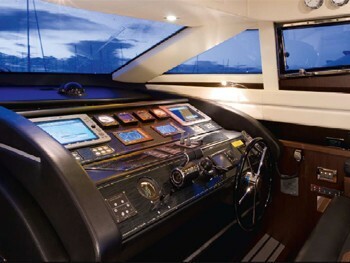 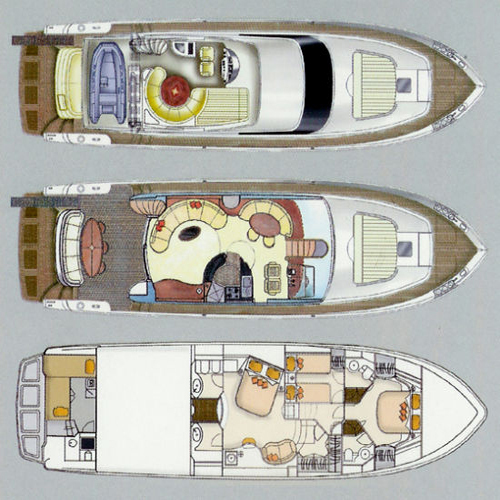 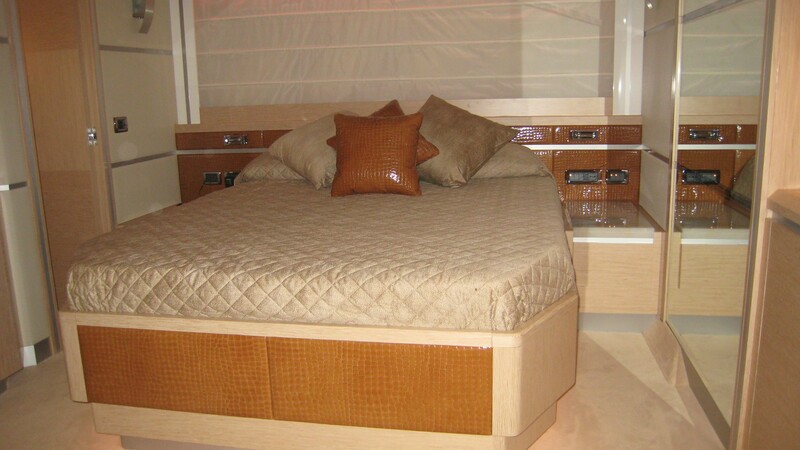 All of the yachts systems are designed to make the use of the yacht effortless and quick. 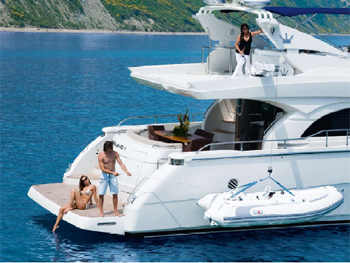 Xtreme has all the toys one would expect including: a jet ski, wakeboarding and water-skiing . 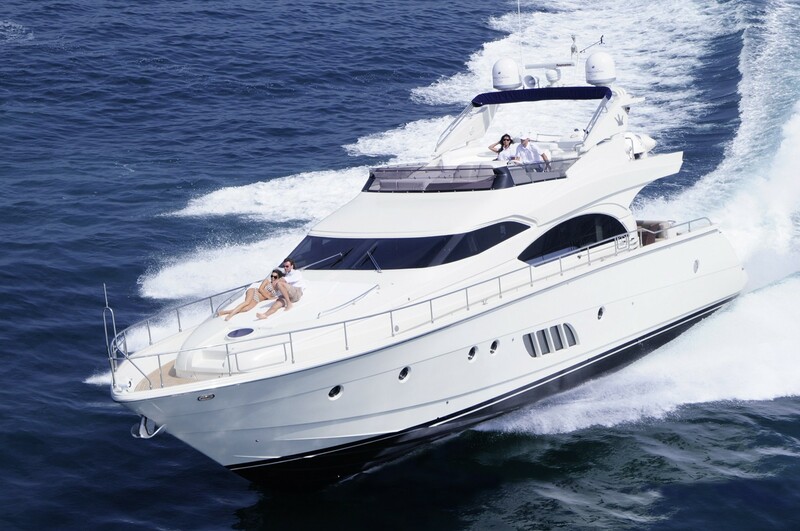 Her friendly and professional crew will be on hand to ensure that your experience on Xtreme is one that will exceed all of your expectations. 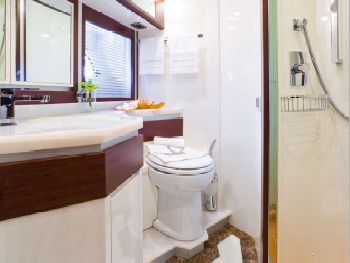 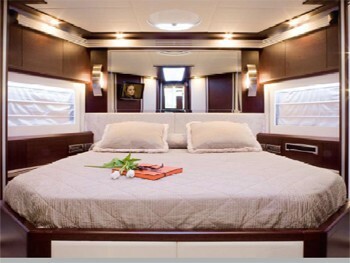 Xtreme’s master cabin is spacious and features a huge walk through bathroom and lounge area. 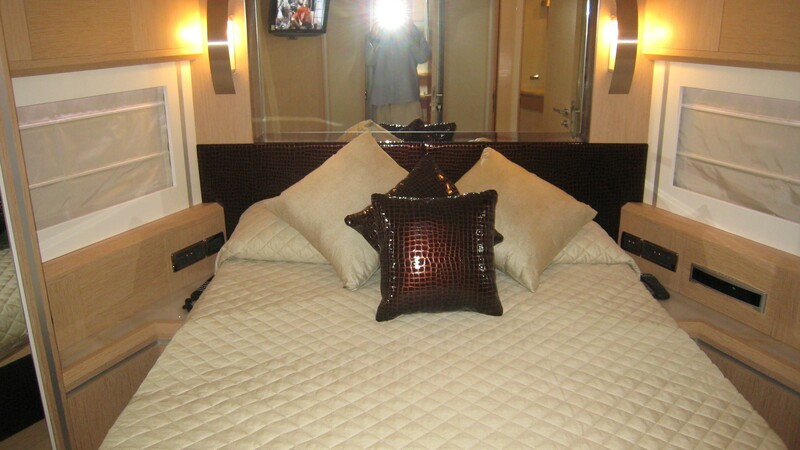 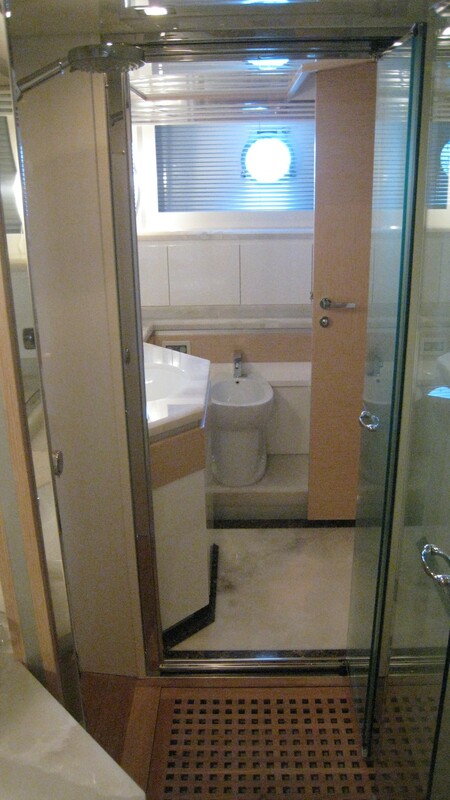 The two other guest cabins include a King VIP as well as a twin, both with ensuite bathrooms. 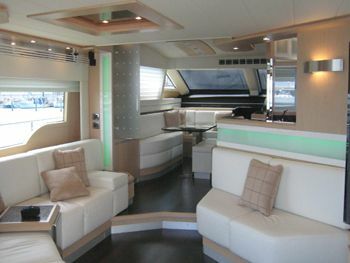 She has a modern saloon area, and with flat screen satellite TV and WIFI as well as an interior dining area comfortable for six people. 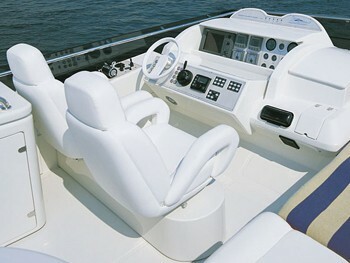 Xtreme comes with a jet tender suitable to tow adult water skiers, wake-boarders and tubing. 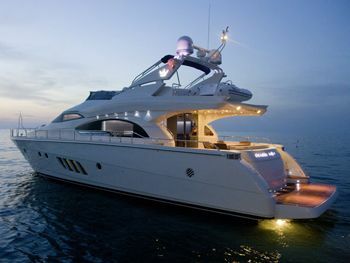 She is also equipped with a jet-ski, a Sea-bob, snorkeling equipment and an array of other water-sport equipment is also included.